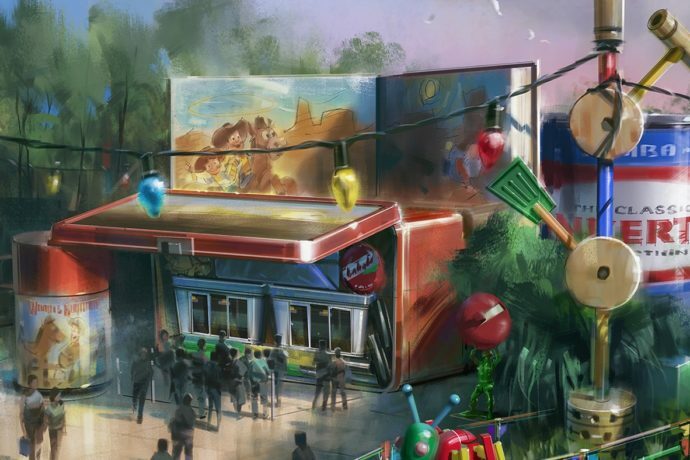 We’re getting our first look at the planned quick service location for Toy Story Land, opening at Disney’s Hollywood Studios during Summer of 2018. Woody’s Lunch Box will offer meals and snacks as well as old-fashioned soda floats. UPDATE: Food Photos and Details revealed for Woody’s Lunch Box! Andy has taken a vintage Woody-themed lunch box and propped it open with a thermos to turn it into Woody’s Lunch Box that dishes out all sorts of tasty meals and old-fashioned soda floats. He completed the area with a classic book and toys strewn about, along with items from his lunch box. 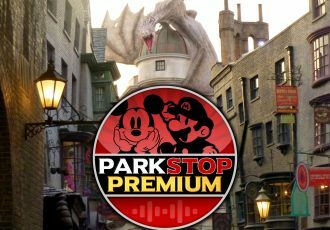 Walt Disney World Resort will partner with Mini Babybel to bring this location to life. See more details below. 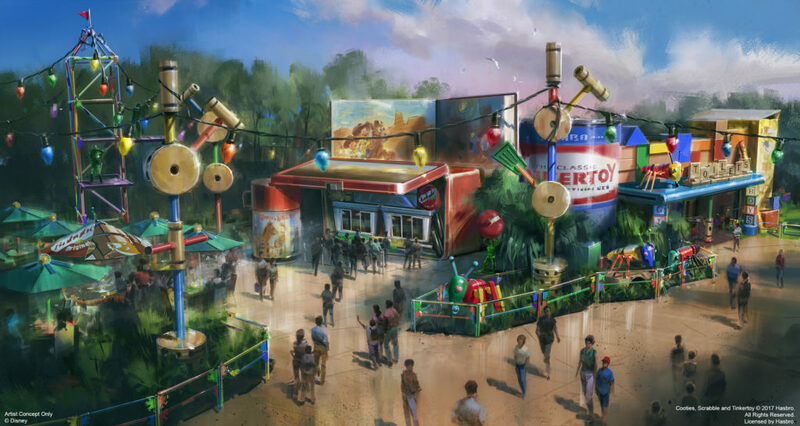 Set to open in the summer of 2018, Toy Story Land will invite guests to step into the whimsical world of Pixar Animation Studios’ blockbuster films where playtime stretches longer than a Slinky Dog. Guests will feel like they’ve shrunk to the size of a toy as they play in Andy’s backyard with their favorite Toy Story pals.